In the age of what I dubbed in my second Mind Capture book, “Advertising Deficit Disorder,” getting things done without distraction can be challenging indeed. Add in cell phones and instant Internet access, some days it seems our to-do lists go up in flames before we’ve even had a chance to take a lunch break. So, what do we do? Turn it all off, disappear and ignore the world? This is not usually a practical solution for most, if any of us. However, there are ways to hone in, buckle down, and get things done even when it seems like on most days the world’s interruptions, questions, and people you know seem to conspire against you with an entirely different agenda in mind. 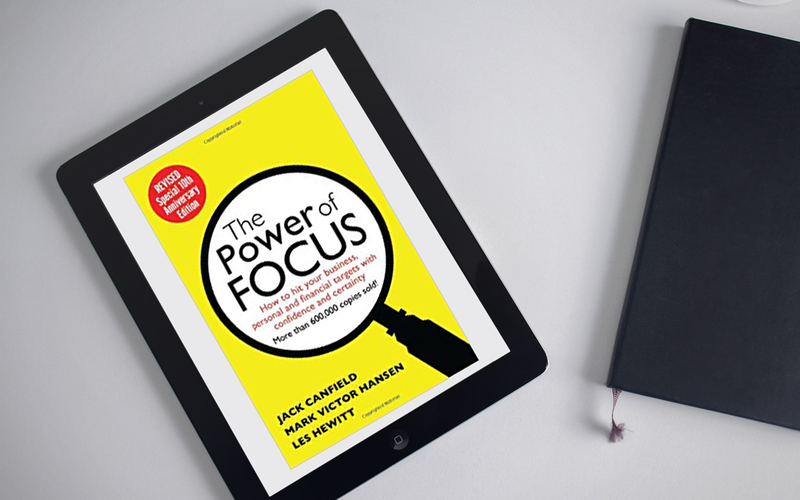 The book, The Power of Focus, is loaded with proven and practical ways to help you strip back life’s distractions and really drill down into what it is that you want to accomplish, the ‘why’ behind it, and some effective ways to increase the odds you’ll achieve it. This updated version also contains five true stories of people who’ve implemented many of the idea in the book and how they found time to pull it off. This is a great book. Get it today!